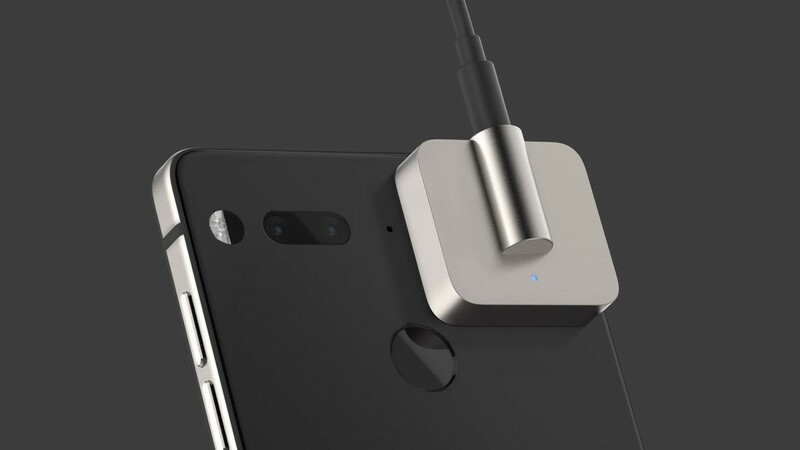 Just in time for the holiday shopping rush, Essential has more stock of the Audio Adapter HD available and has re-opened sales. Andy Rubin originally promised new wireless accessories "every few months," but for whatever reason, it seems the company wasn't able to stick to that schedule. It's possible a lawsuit surrounding the modular accessory communication tech could have had something to do with the delay. The new Audio Adapter HD may be expensive, but it's delightfully over-engineered, with a solid machined titanium build and a snazzy ESS Sabre DAC (ES9281Pro) that supports hardware MQA, providing 16, 24, and 32-bit playback at absurdly high sampling rates (44.1, 48, 96, 192MQA, 384 kHzMQA). We're not entirely convinced of the merits behind such sky-high bit-depth and sampling rates, ourselves, but they're an option if you're interested. The Audio Adapter HD's built-in amp is also able to better power high-impedance headphones via the 3.5mm output, and it's IP55 rated. Full specs are available here. Essential's omission of the headphone jack was a point of contention for many, including us. While you could use a dongle, now there's another higher-end (and more expensive) option. Just remember, Essential says this is a limited edition. Thank you for your purchases of Audio Adapter HD today. We are now sold out but don't worry, the shop will be restocked again next week. Stay tuned! Essential has already burned through its inventory, selling out all the Audio Adapter HDs it had. The company expects to get more in next week, though. It may be a limited edition, but your chance isn't gone (yet).